Mulching is a way of clearing up your property without having burn piles. There is also little ground disturbance that keeps the topsoil intact and the remaining mulch enriches the soil. Roots to trees you want to keep will not be damaged. 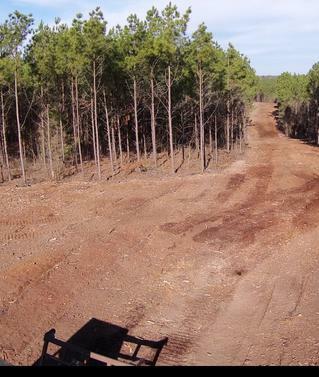 Reclaim Pastures - selling timber but don't want the stumps left behind? Hunting Lease clean up - we have utilized this each year after major storms!